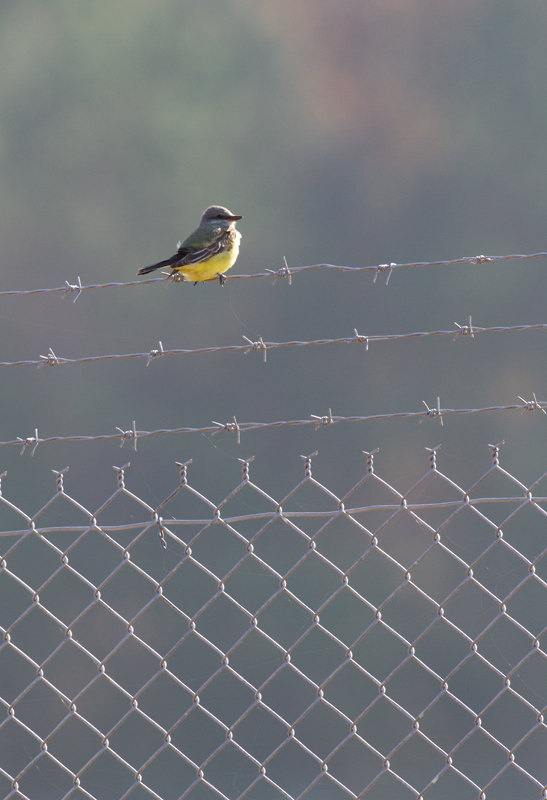 Rarity Roundup XIII. 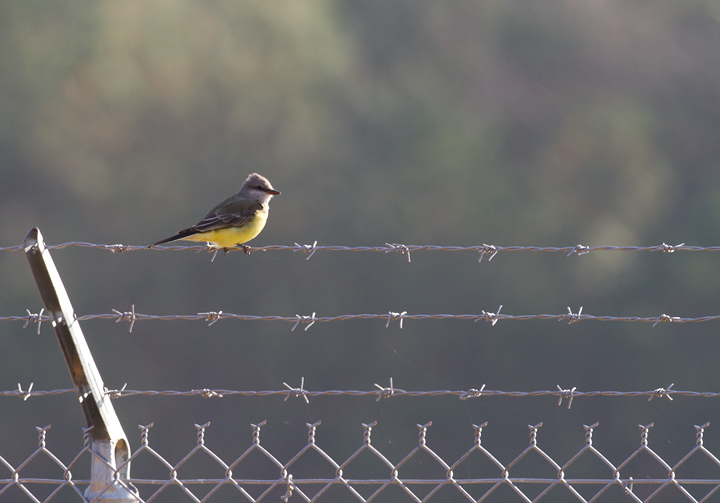 Last updated: 11/12/2012. 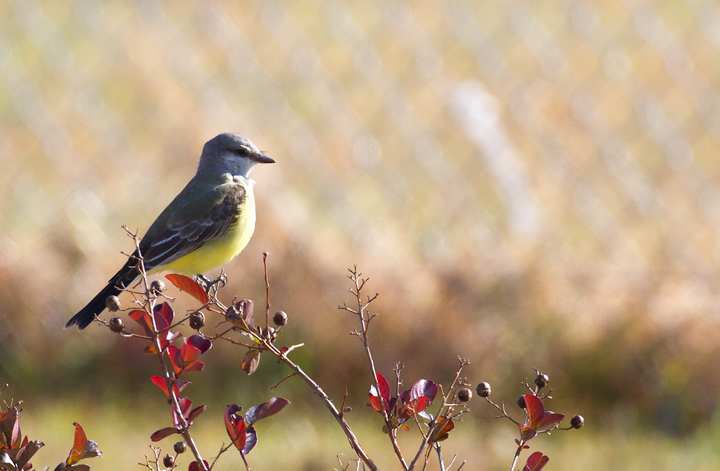 Above and below: A Western Kingbird at the Ocean City Airport, Worcester Co., Maryland (11/11/2012). 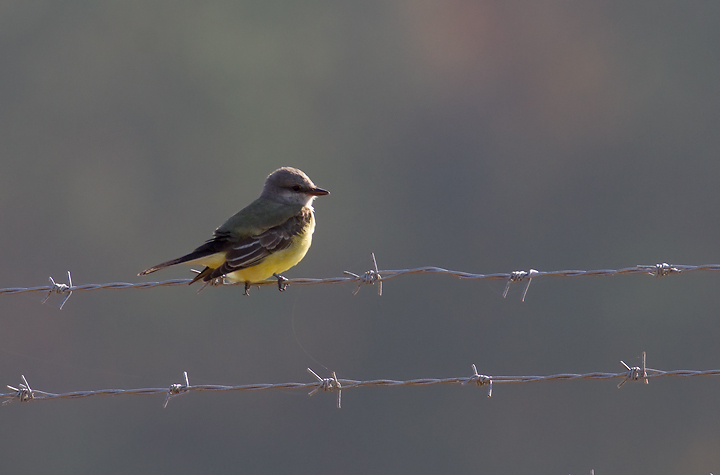 Found by Mikey Lutmerding on the Rarity Roundup - the best birding weekend of the year. 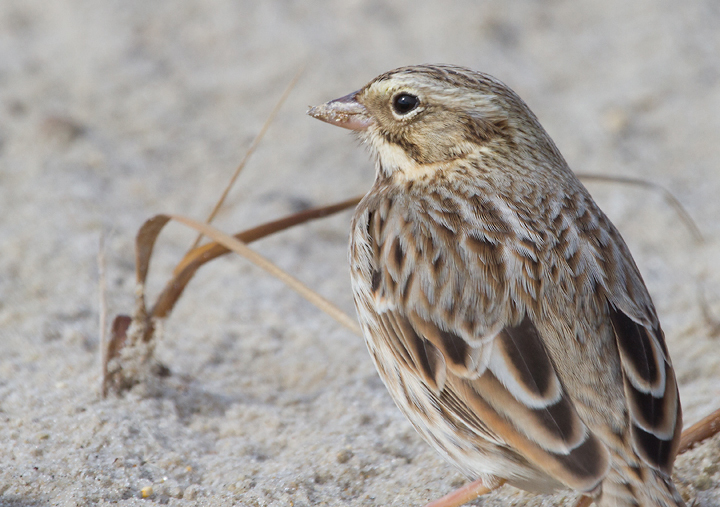 Below: Ipswich Sparrows on Assateague Island, Maryland (11/10/2012). 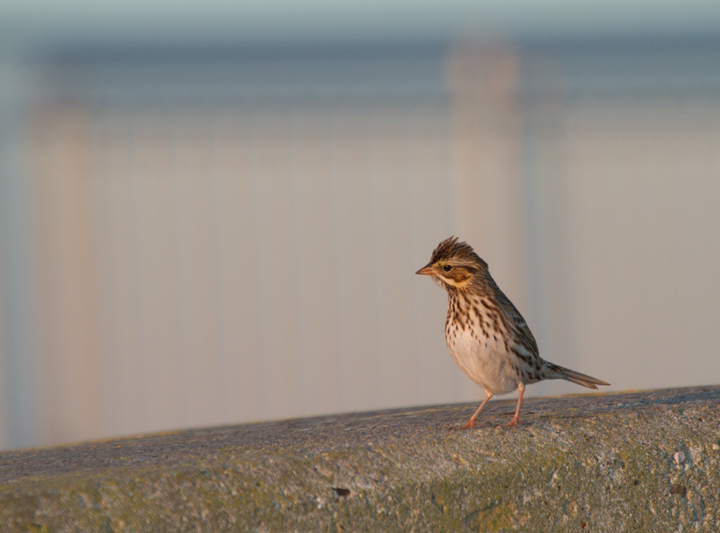 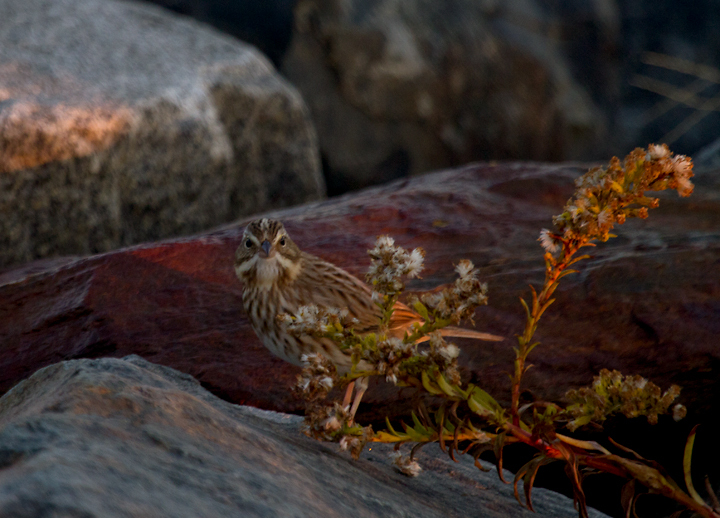 Below: A typical Eastern Savannah Sparrow for comparison - Assateague Island, Maryland (11/10/2012). 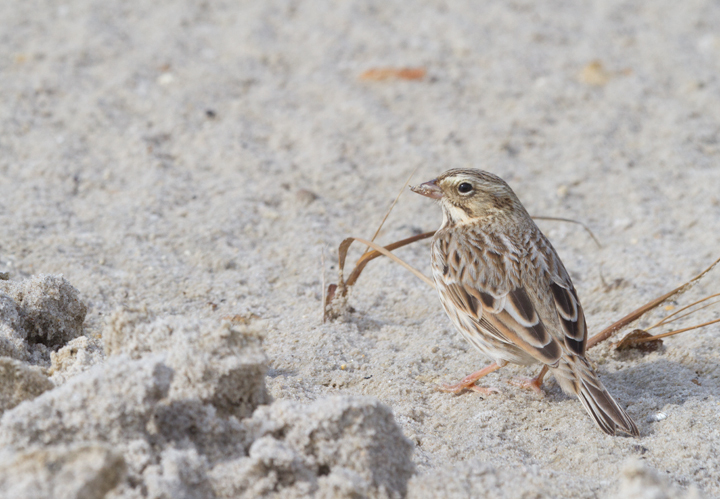 Below: An uncommon comparison of the two subspecies, which shows the difference in overall impression from a distance (Assateague Island, Maryland, 11/10/2012). 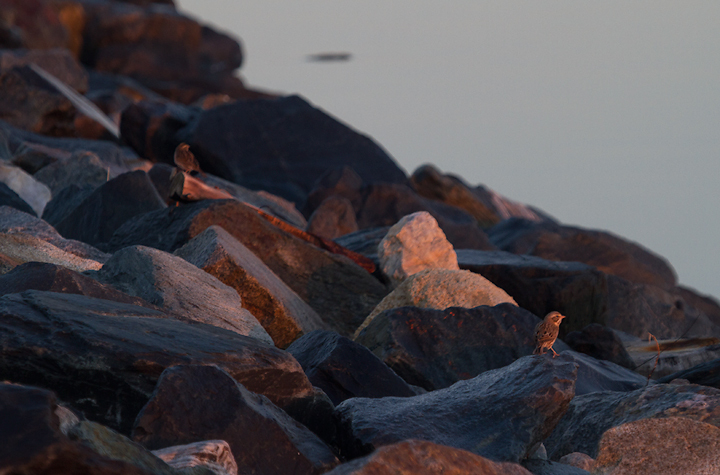 The difference would be even more striking if not for the warm dawn light. 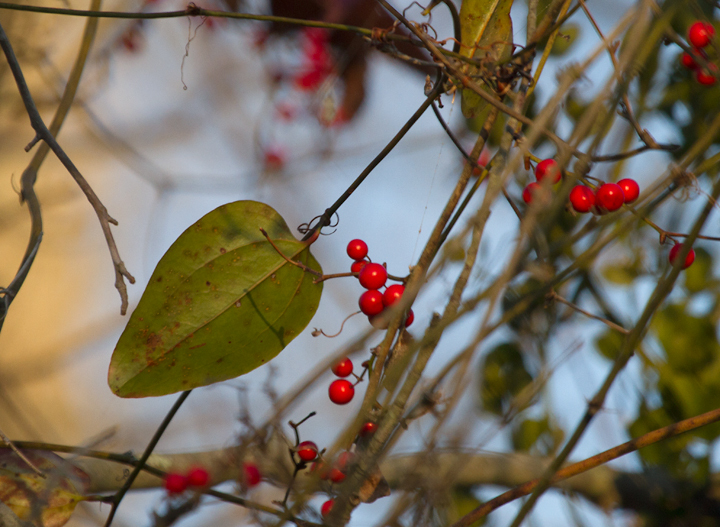 Below: Black Cherry in Worcester Co., Maryland (11/2012). 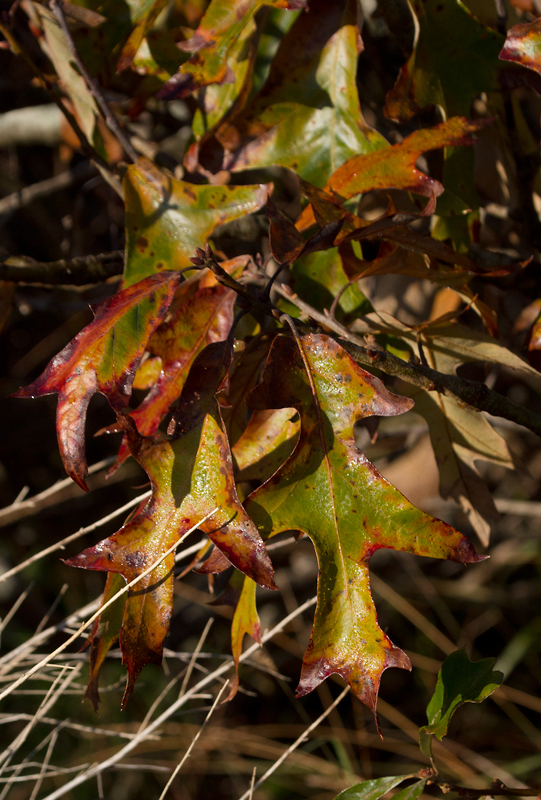 Below: Southern Red Oak on Assateague Island, Maryland (11/10/2012). 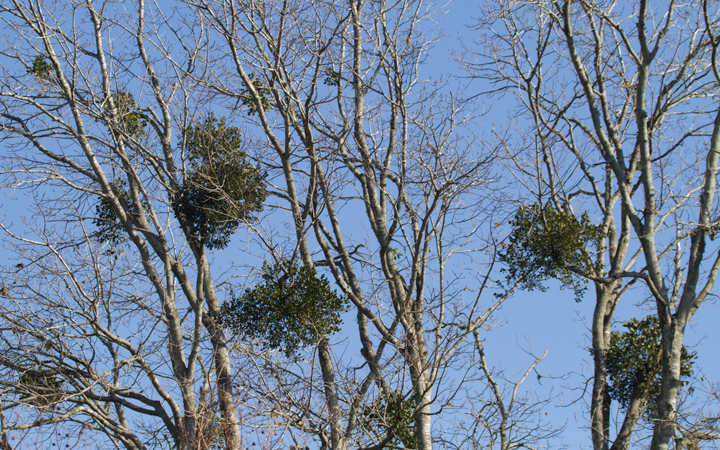 Below: Oak Mistletoe in Worcester Co., Maryland (11/11/2012). 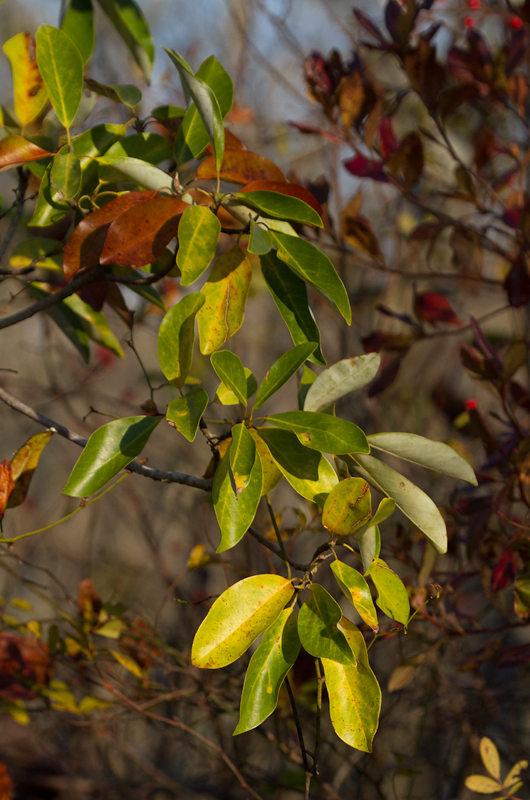 Below: Wax Myrtle with fruit in Dorchester Co., Maryland (11/11/2012). 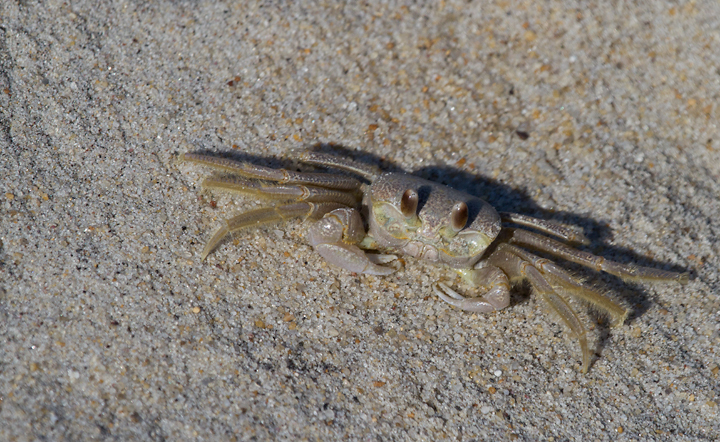 Below: A Ghost Crab on Assateague Island, Maryland (11/10/2012). 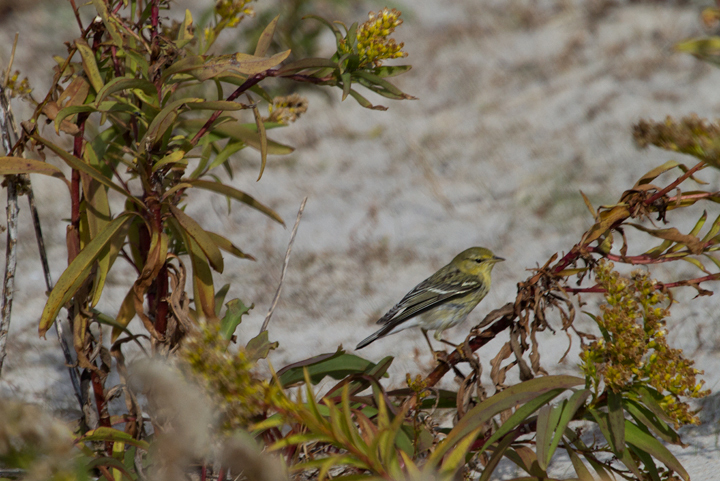 Below: Documentation photo of a late Blackpoll Warbler on Assateague Island, Maryland (11/10/2012). 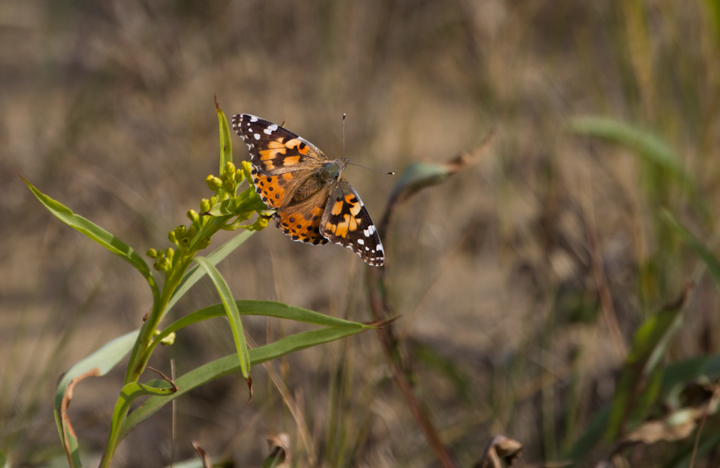 Below: A Painted Lady on Assateague Island, Maryland (11/10/2012). 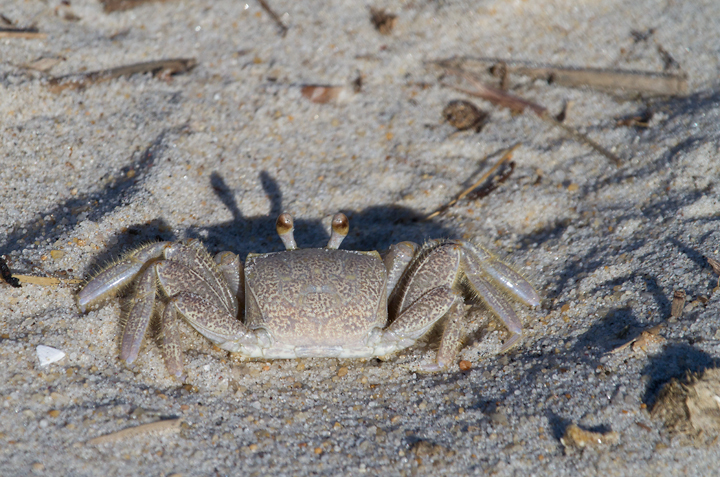 Below: Sweetbay in Dorchester Co., Maryland (11/11/2012). 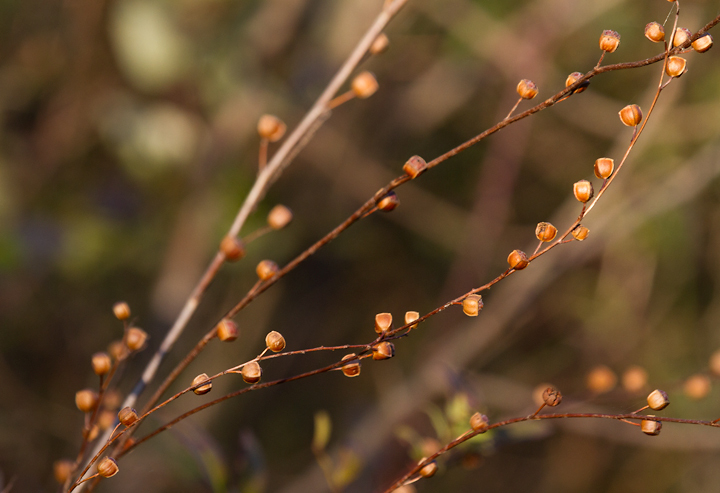 Below: Seedbox (Ludwigia alterniflora) in Dorchester Co., Maryland (11/11/2012). 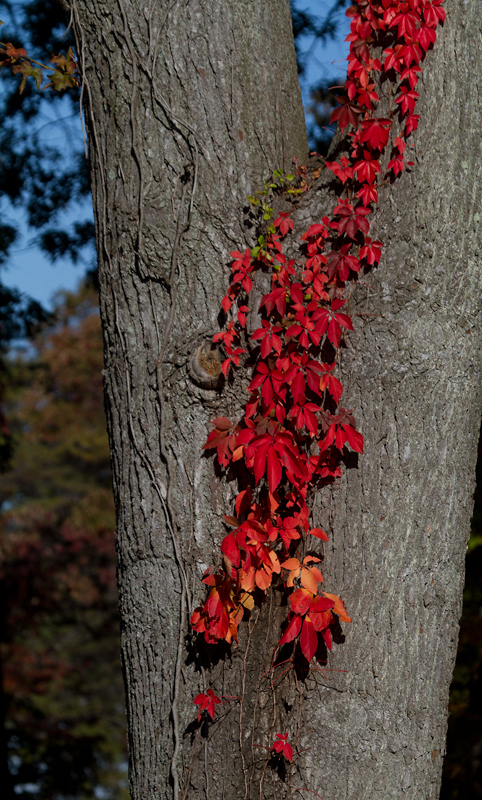 Below: Virginia Creeper at Fort Smallwood, Maryland (10/21/2012). 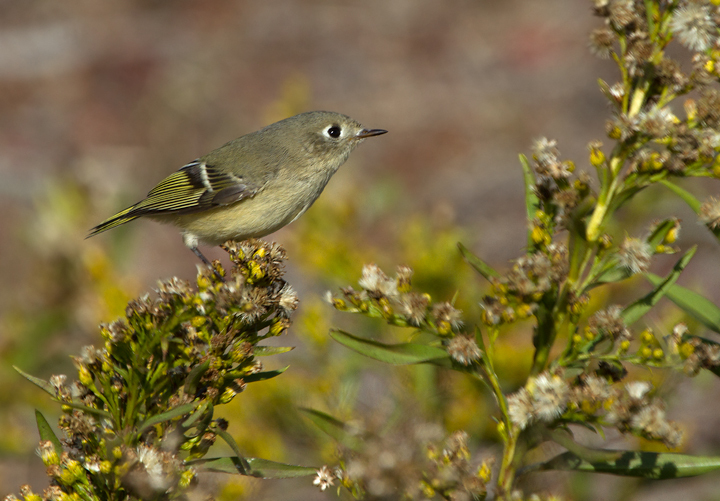 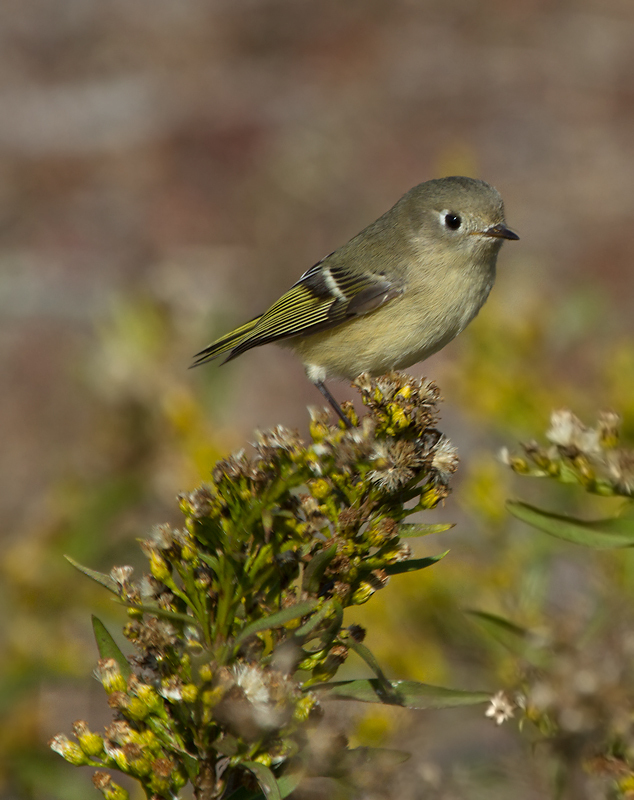 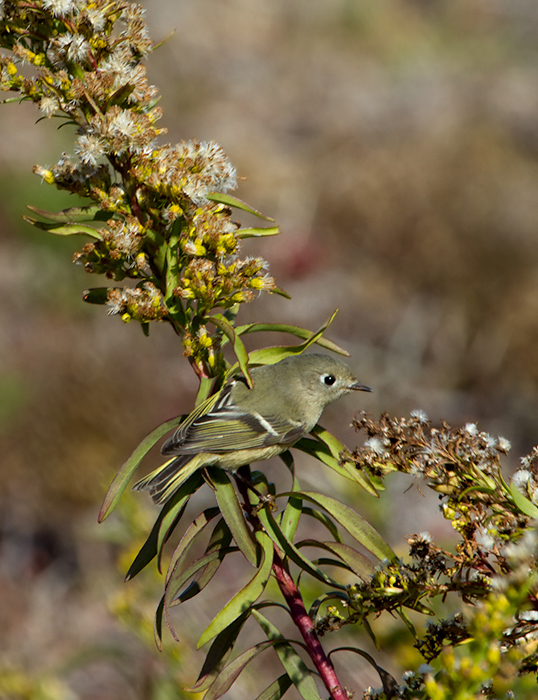 Below: A Ruby-crowned Kinglet foraging in the Seaside Goldenrod on Assateague Island, Maryland (11/10/2012). 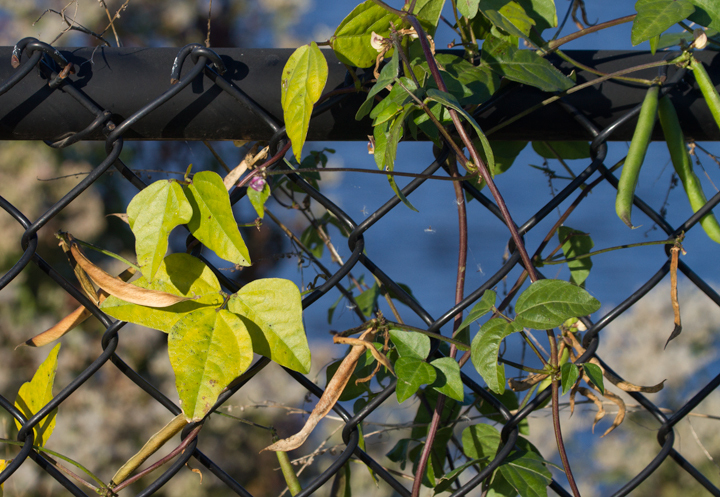 Below: Amberique-bean at Fort Smallwood, Maryland (10/21/2012). 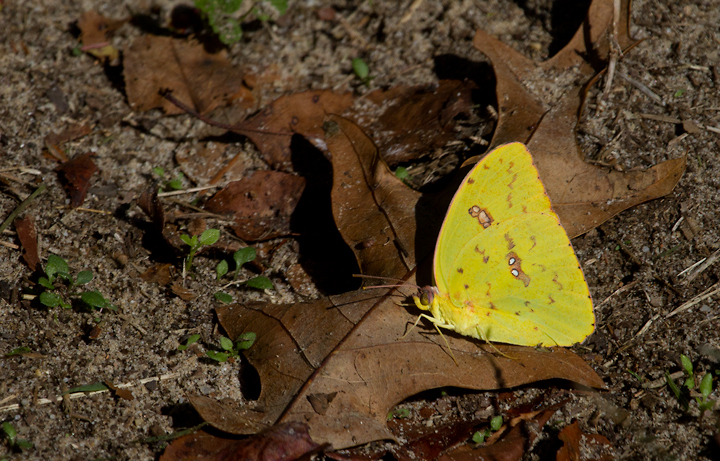 Below: A Cloudless Sulfur in my yard in Pasadena, Maryland (10/21/2012). 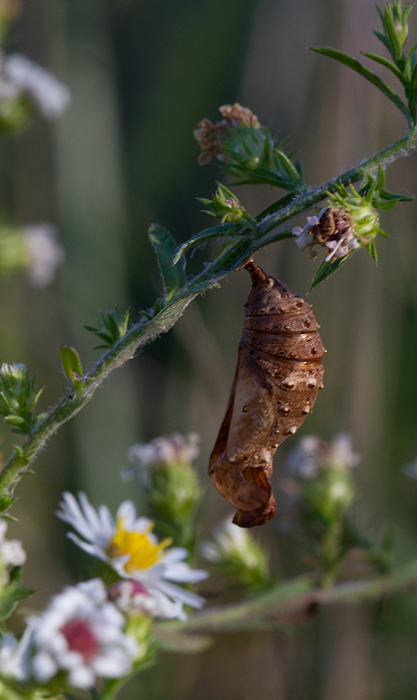 Below: A Common Buckeye chrysalis at Fort Smallwood, Maryland (10/21/2012). 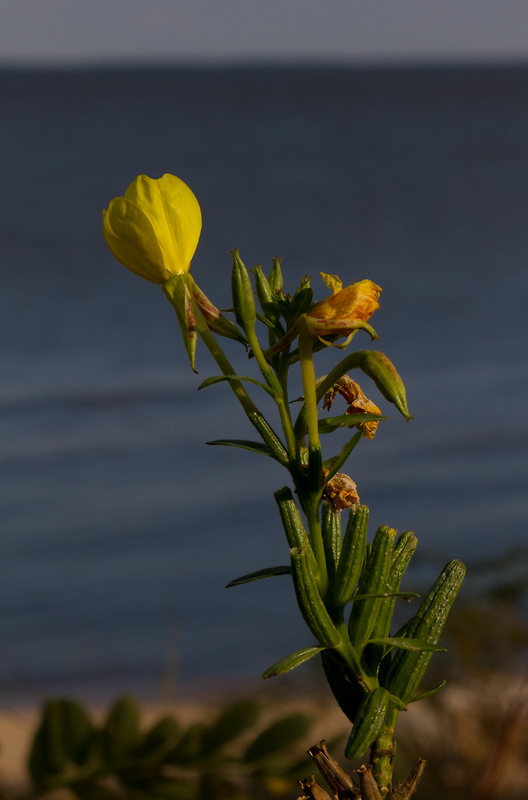 Below: Common Evening Primrose still blooming at Fort Smallwood, Maryland (10/21/2012). 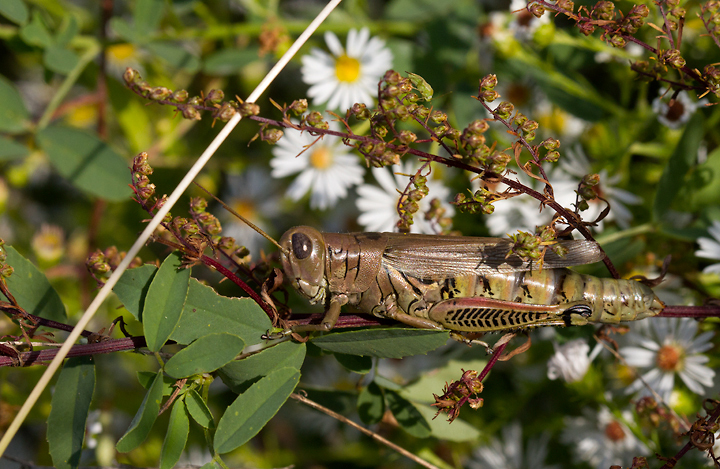 Below: A Differential Grasshopper at Fort Smallwood, Maryland (10/21/2012). 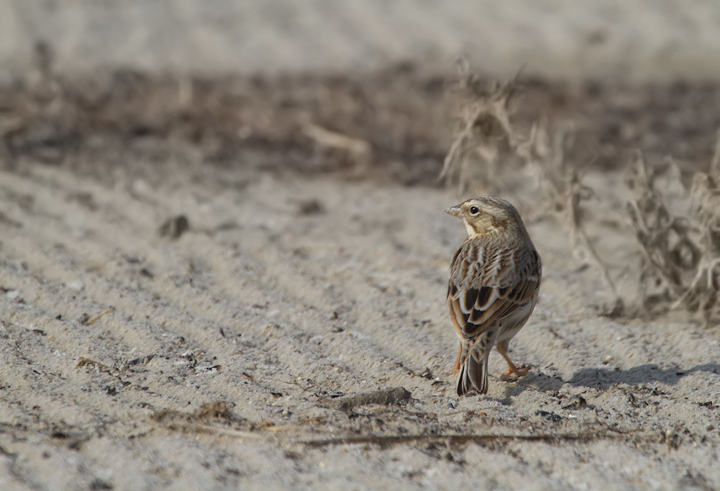 Note the plain wings and black herringbone pattern on the hind leg. 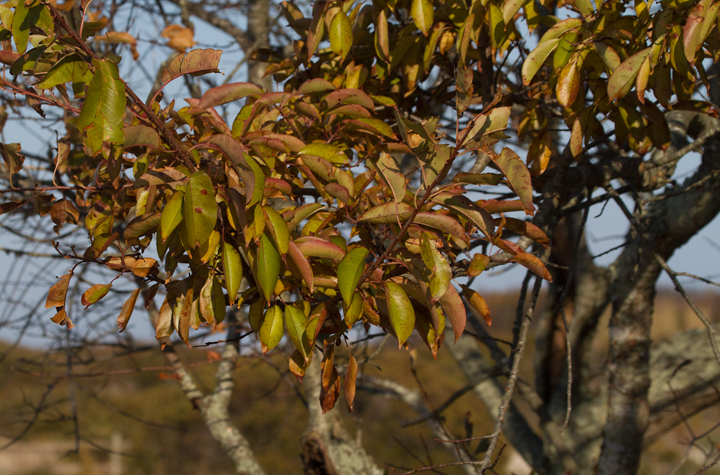 Below: Coral Greenbrier in Dorchester Co., Maryland (11/11/2012). 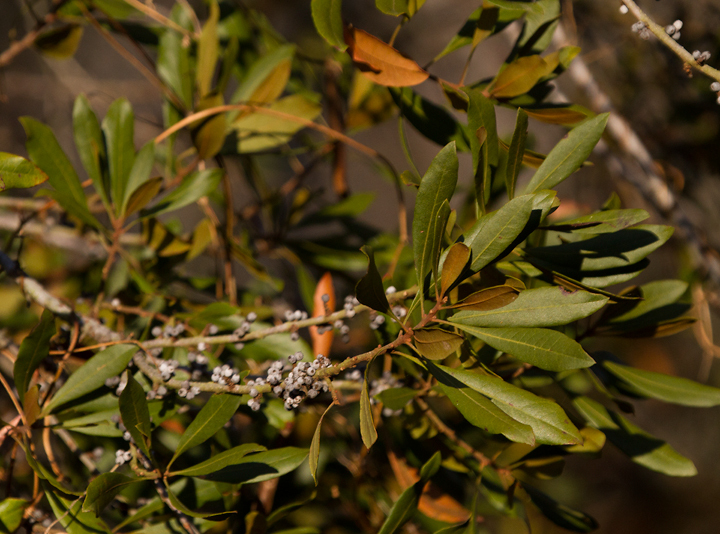 Note the distinctive leaf shape and red berries. 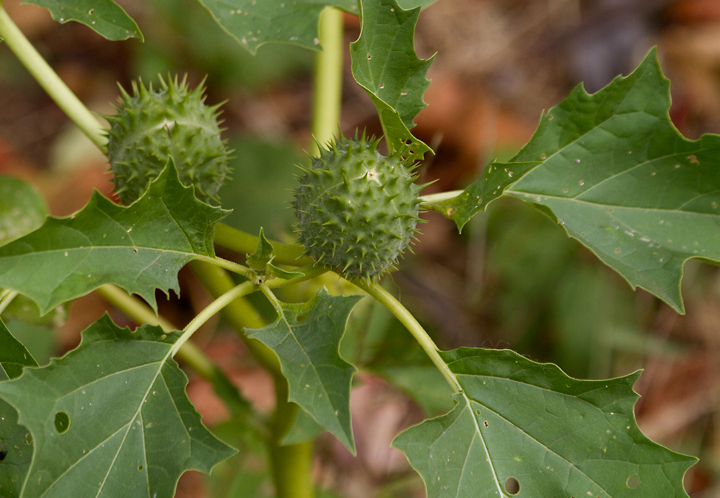 Below: Jimsonweed in Anne Arundel Co., Maryland (10/13/2012). 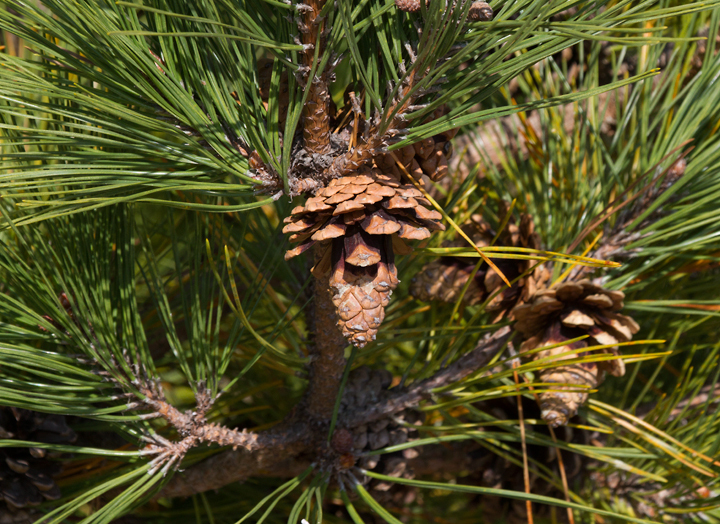 A powerful (and dangerous) hallucinogen. 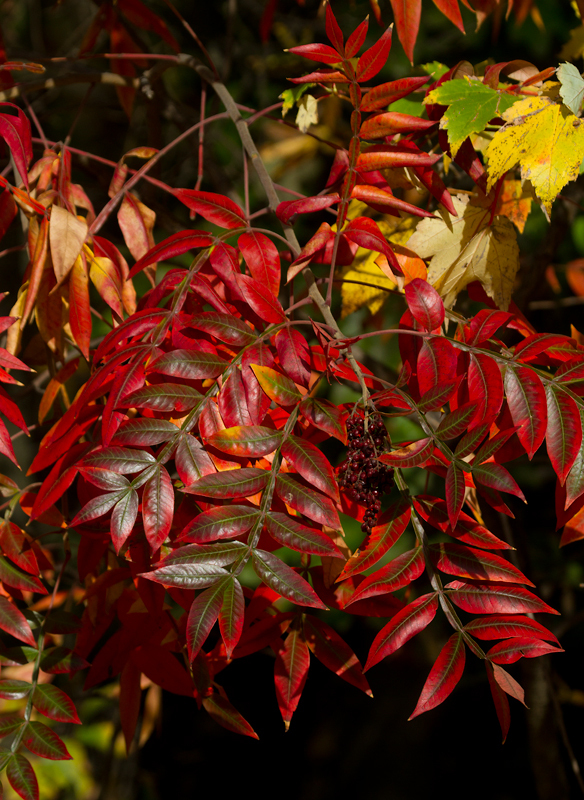 Below: Winged Sumac near Fort Smallwood, Maryland (10/20/2012). 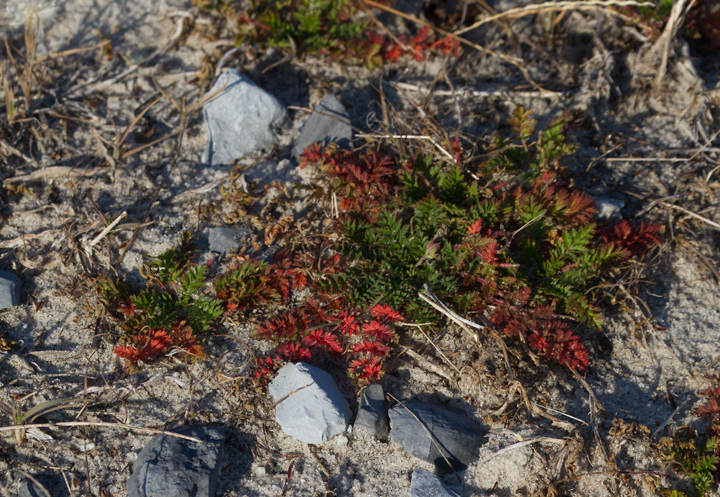 Below: Red-stemmed Storksbill on Assateague Island, Maryland (11/10/2012). 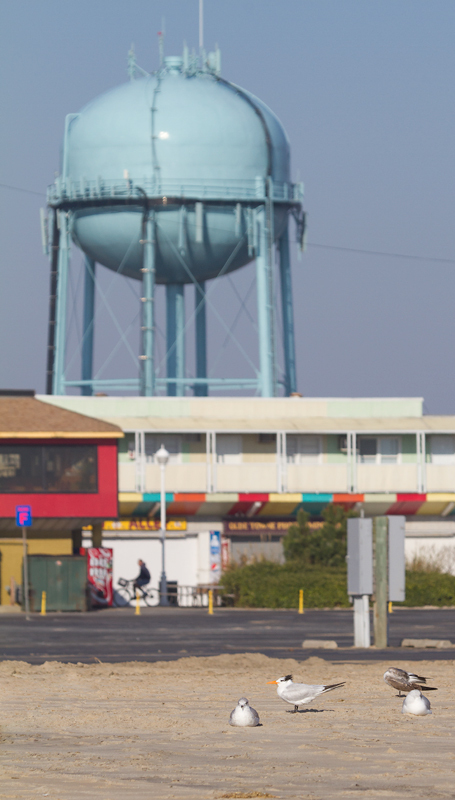 Below: A Royal Tern lingering in Ocean City, Maryland (11/11/2012). 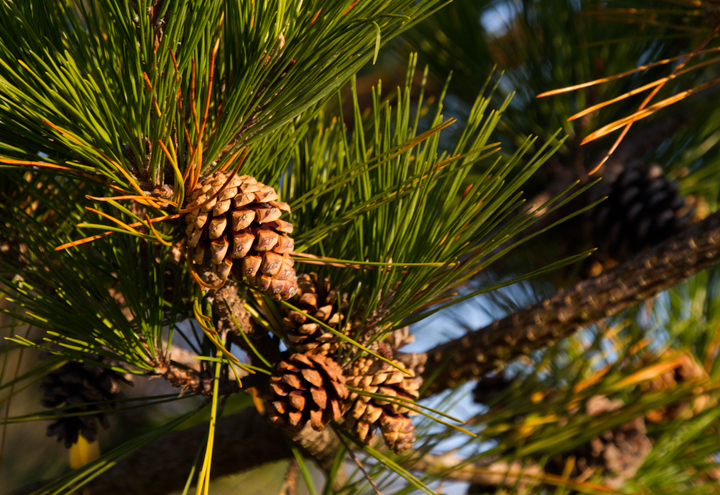 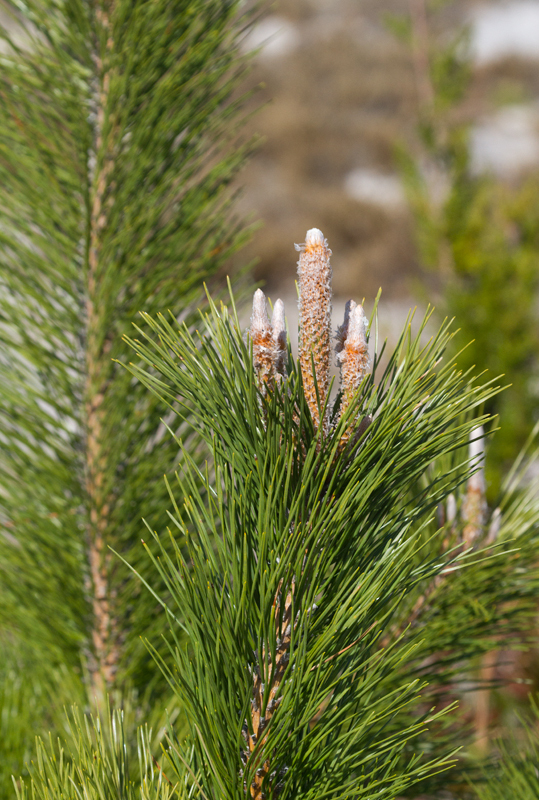 Below: Japanese Black Pine is common on Assateague Island, especially the State Park (11/10/2012). 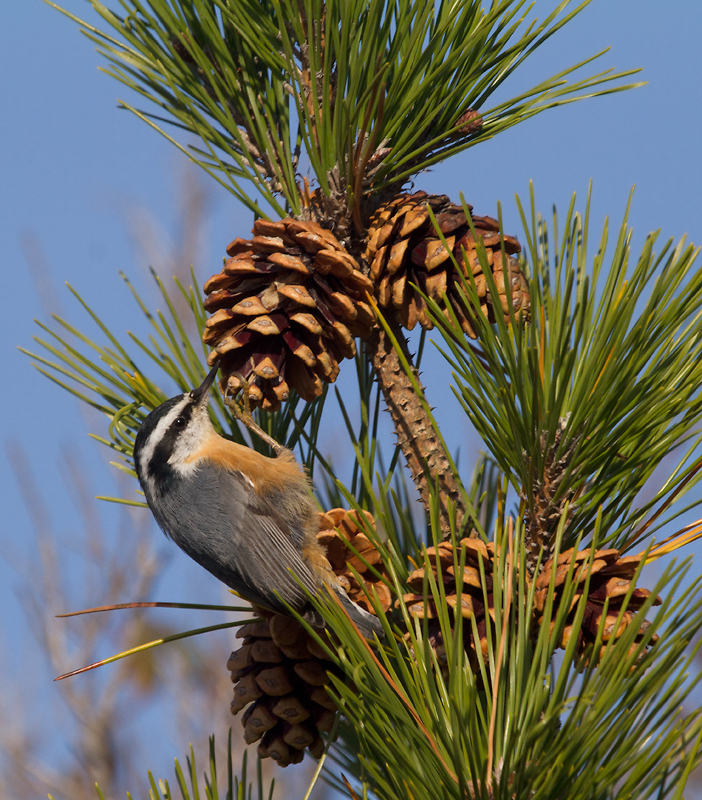 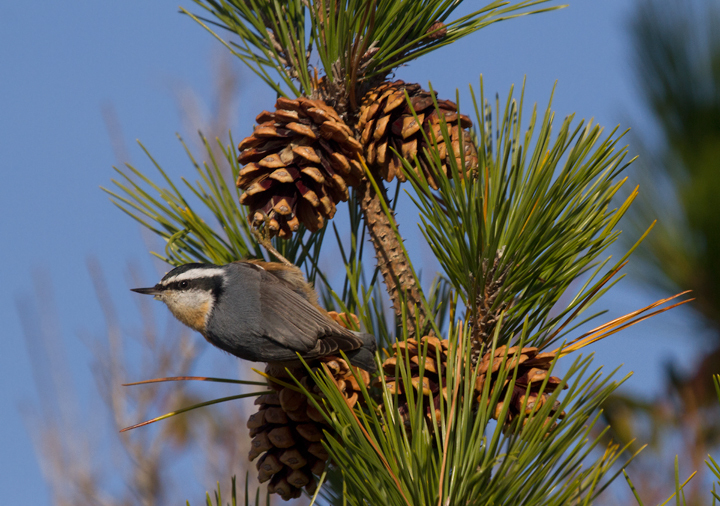 Below: A Red-breasted Nuthatch foraging in Japanese Black Pine, Assateague Island (11/10/2012).